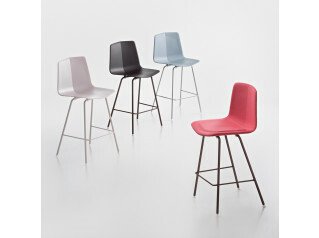 Una Stool is a classically designed seat that respects our history in a modern evolution. The flowing lines and shapes that evolved during the initial creative phase of design have become icons of the entire contemporary scene. The collection expresses a view of design that measures itself alongside the most meaningful and eloquent objects produced in the tradition of great design masters, acting merely on those small details that need to be updated. 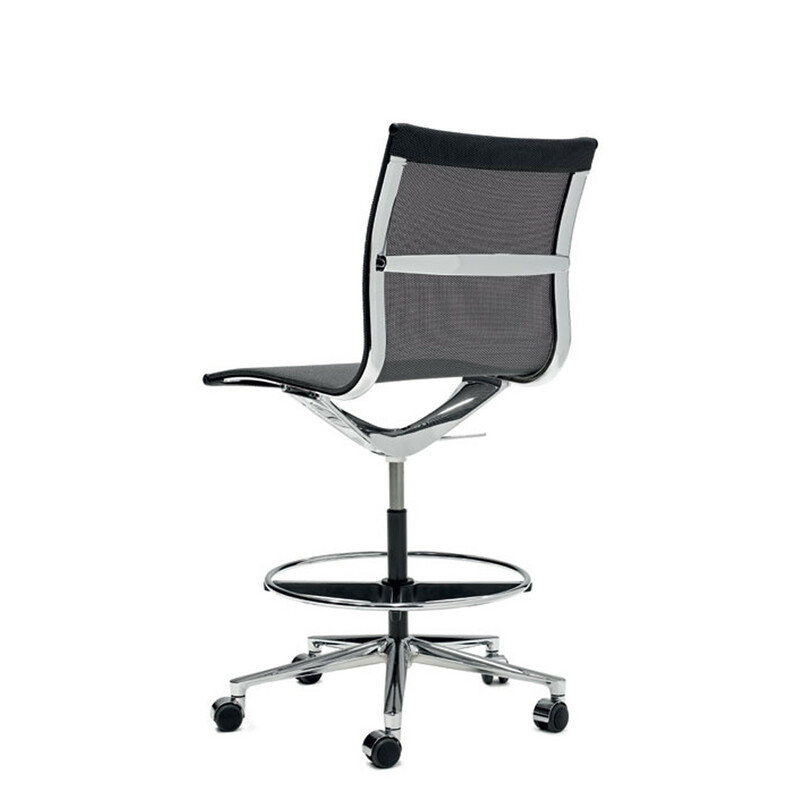 The soft impact of the frame combined with the elegant upholstery bring to mind the research of grand masters of design. 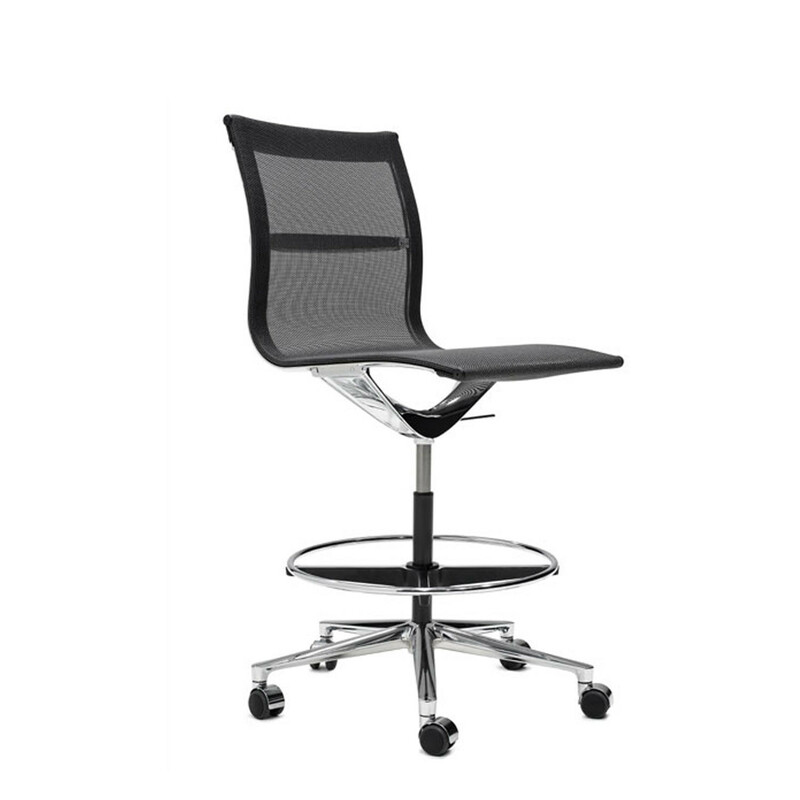 The chair seat itself seems almost suspended and the careful selection of materials creates a distinctive, functional atmosphere, with a refined and modern look. 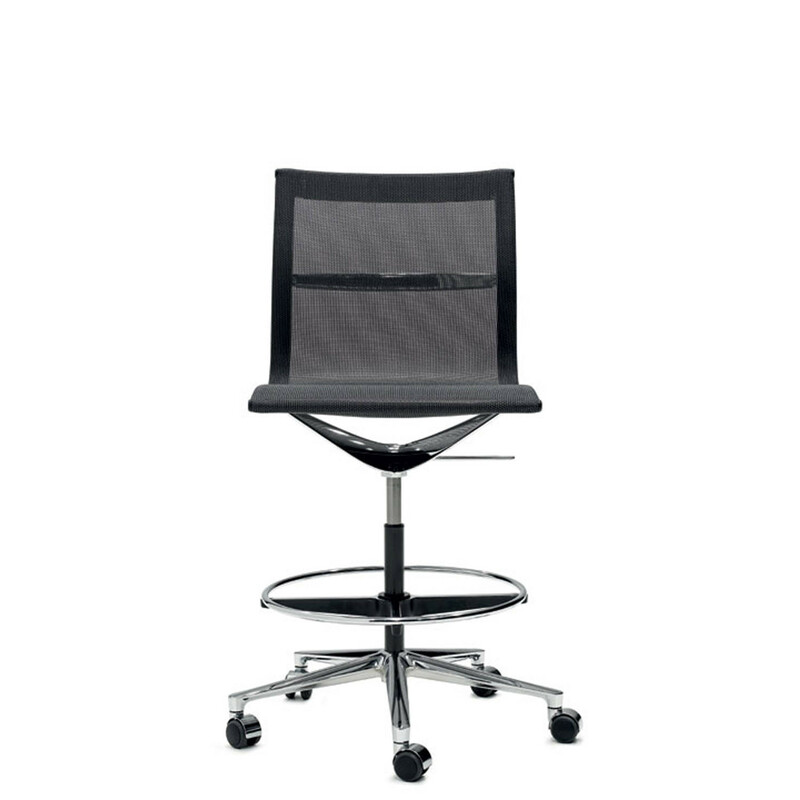 Ideal for office bar areas, breakout areas, meetings at high tables or for working at height. 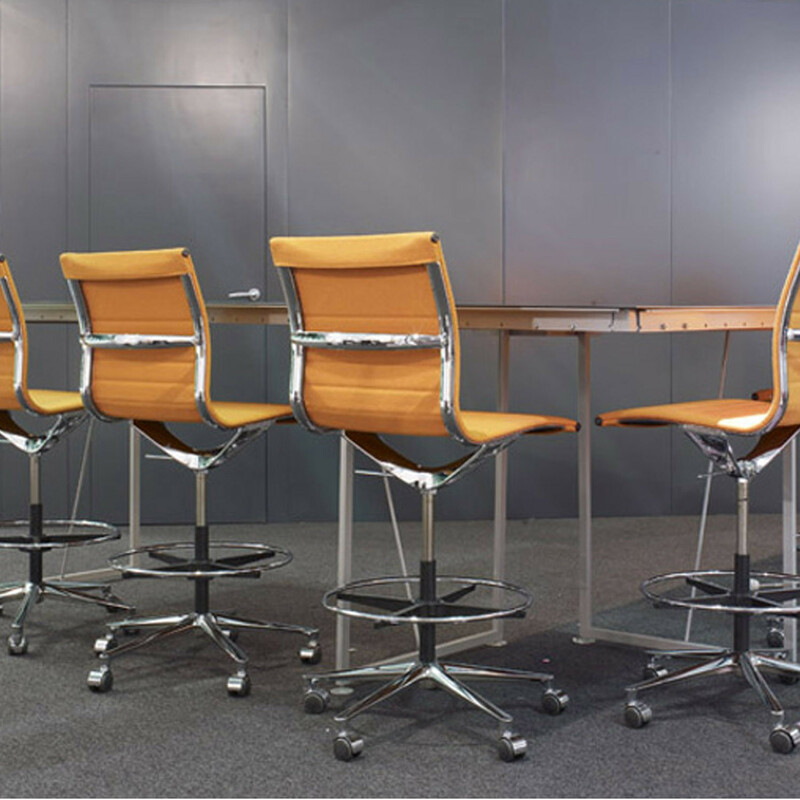 Una Stool's frame is a rigid structure, able to maintain its shape even under conditions of considerable stress, which serves at the same time as a specific support for the elastic mesh and the fabric or leather upholstery. 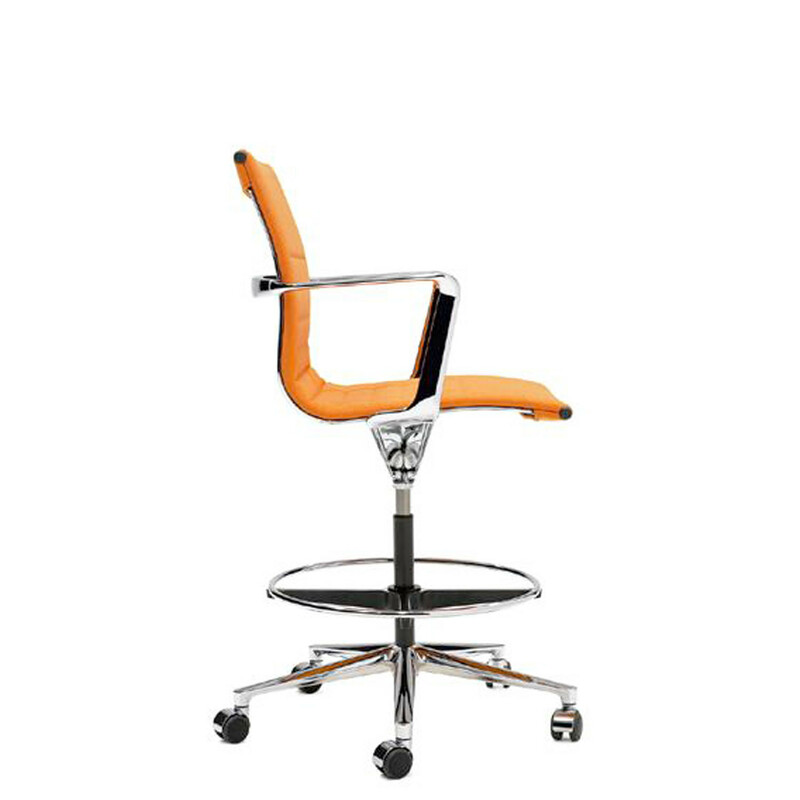 Available in two different finishes: polished or chromed. The leather or fabric is pressed onto a central layer of high-resistance technical material and two layers of flexible polyurethane. 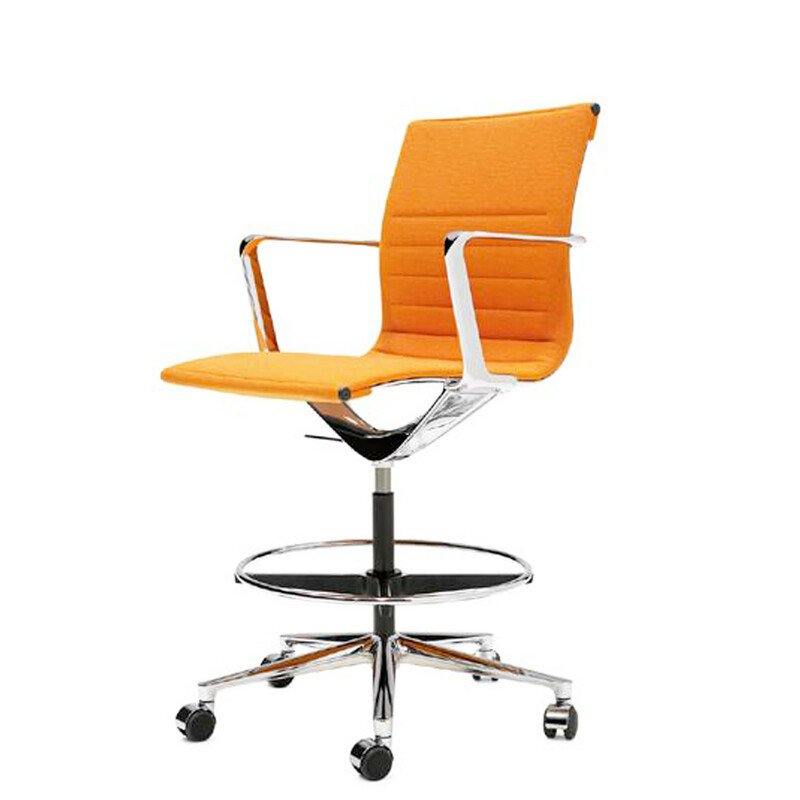 The upholstery thus obtained is a bearing and flexible structure, fit to perfectly distribute the weight of the body. The bearing and flexible structure of the nylon mesh (monochrome – 75% vinyl resin, 25% polyester) or of the elastic mesh (two-toned effect – 70% monofilament polyester elastomer, 30% polyester), ensures full breathing and thorough air circulation. 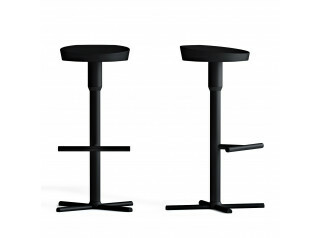 The height adjustment of Una Stool is facilitated by a pneumatic gas lift with a range of 18cm. 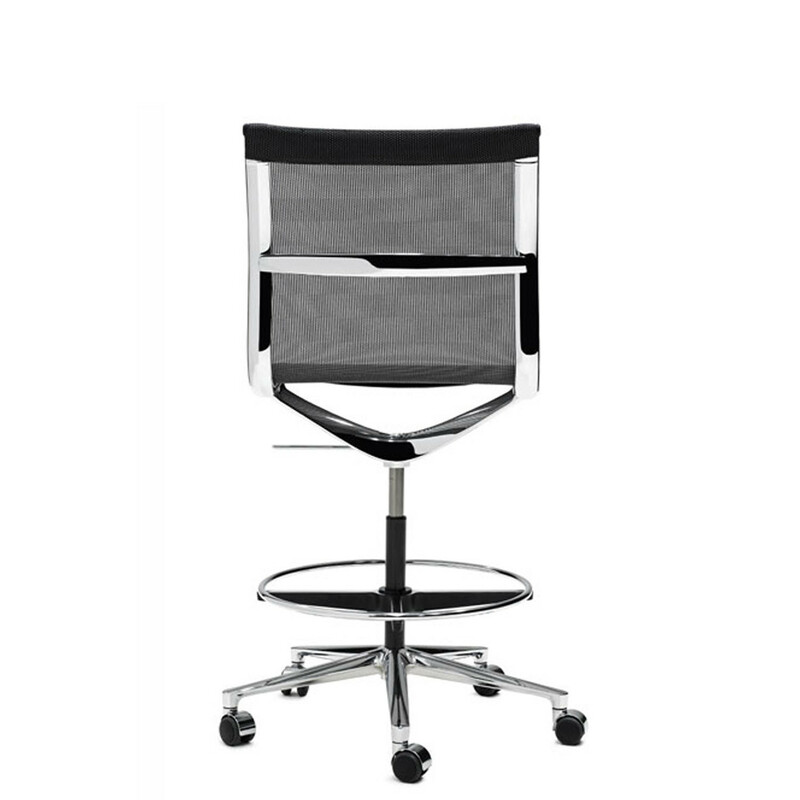 The armrests have a closed shape and are made of die-cast aluminium, chromed or polished according to the structure. Optional leather cover. You are requesting a price for the "Una Stool "
To create a new project and add "Una Stool " to it please click the button below. 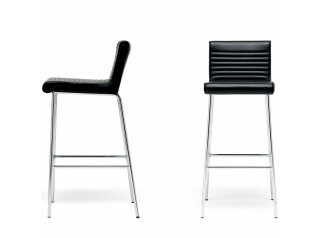 To add "Una Stool " to an existing project please select below.